While tattoos are generally awesome, there is something quite special about an ink masterpiece placed on a man’s chest. Somehow, a chest tattoo is bolder, braver, and yes, more beautiful. When you really think about it, it is one of the best spots to get inked – a man’s chest is broad enough for large and intricate pieces, plus it’s upfront which makes the tattoo so easy to display. 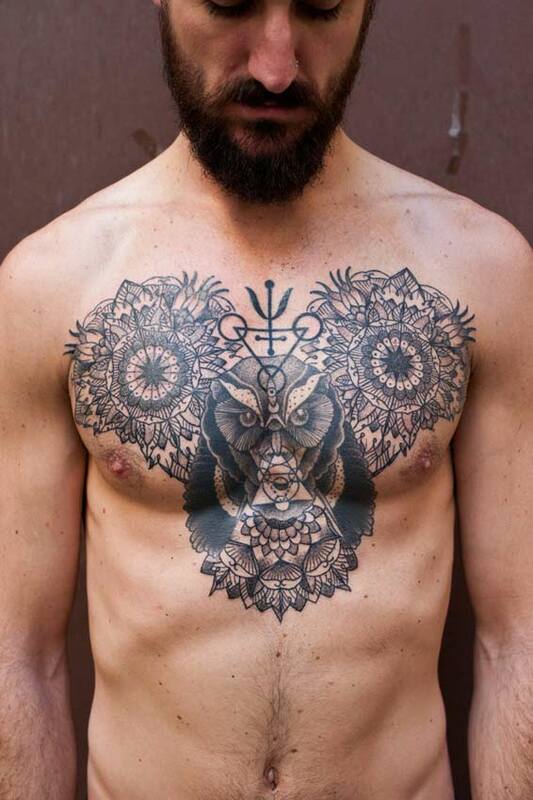 The owl in itself is already a great design that is rife with symbolism but what makes this piece really great as a chest tattoo is the symmetry that is in play.